… that was not the question. Tensions seemed high in the House of Commons yesterday after the Prime Minister called off the much anticipated vote in the Commons on her proposed Brexit deal, and took questions after her statement for almost three hours. Much criticised for pulling the vote at the “last minute”, she was faced with furious MPs, sparking comments by opposition leader Jeremy Corbyn that Mrs May had “lost control of events” and credibility. In the “hot seat”, Mrs May sought to reassure the opposition by declaring that she would, herself, seek further assurances from the European Union leaders in the next few days in relation to the much debated Irish backstop date and other points noted in her statement. This came prior to a tweet by the European Council president Donald Tusk that he would “not renegotiate the deal”. Mrs May is relying on winning over Conservative Brexiteers and the DUP in order to secure votes, whereas Labour is being pressured by the SNP and Lib Dems to call a vote of no confidence, something only the main opposition party can do. Labour noted that they may attempt to trigger a general election, but prefer to wait until the vote on her deal is called. They will, however, keep the pressure on the Prime Minister in an emergency debate in the Commons later today, which was granted after Mrs May’s decision to call off the vote. As the geek in us was outraged at Labour MP Lloyd Russell-Moyle removing the ceremonial Mace from its place, which symbolically represents royal authority and if removed the Commons cannot debate or pass laws, the main points to consider are whether agreement will or will not be reached. If no agreement is reached with the EU or if Parliament rejects the deal, then the Commons could attempt to put the decision to the public. An important point not to be overlooked is yesterday’s ECJ ruling, whereby the UK can cancel Brexit unilaterally, could apply until exit day (29 March 2019) for as long as a withdrawal agreement is not entered into. The decision to stay, however, would still need to be approved by Parliament, and may therefore then face a further stumbling block. A former Tory minister told The Independent that “Parliament could indicate by motion that it doesn’t like what the government is doing and say, for example, ‘We think the government ought to immediately apply to extend the leave date, extend Article 50 and consider its revocation.’” Especially after statements made by the ECJ, the political pressure that could be exercised in the coming days will have significant influence in relation to future events. Voices still seem braced for an interesting outcome, and the Remain camp will face comments as such made by Environment Secretary Michael Gove calling Remainers “people who never accepted that first vote, who didn’t accept that democratic mandate and who want to overturn it”. Both sides are to come to a head to head eventually in the House of Commons, and the phrase “watch this space” has never before had such an impactful gap. Theresa May is meeting European leaders and EU officials on Tuesday for talks aimed at rescuing her Brexit deal. 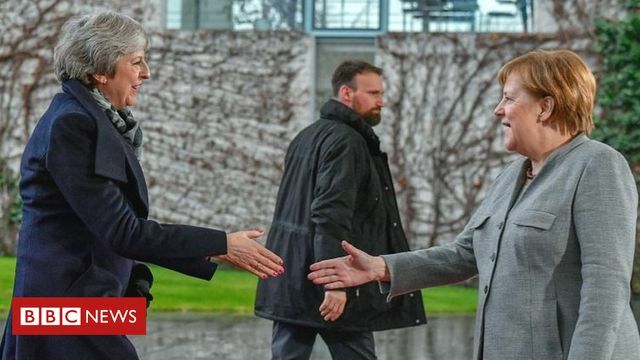 She is holding talks with Dutch PM Mark Rutte and Germany's Angela Merkel after postponing a Commons vote on the deal. The UK PM has said she needs "further assurances" about the Northern Ireland border plan to get backing from MPs. European Commission President Jean-Claude Juncker said the EU would not "renegotiate" the deal but there was room for "further clarifications". The prime minister is understood to be seeking legal guarantees that the UK will not be trapped in the Northern Ireland backstop plan indefinitely.